Hello everyone, welcome to our Magical Journey Walkthrough for Harry Potter: Hogwarts Mystery – Year 1. Here you can find the detailed walkthrough for the first year of your Hogwarts studies. As some of you may already know, this year contains ten chapters. Each of those will be covered in detail, so you’ll find all the information you need here. First, you'll get to customize your character. There is a large number of different options you can choose from during character creation which will help you create a truly unique and distinguishable protagonist before you begin this magical adventure. Like all the beginnings, this one might take some adapting. You will find yourself in many memorable locations and you'll be able to meet, interact with, and potentially befriend some of the well-known characters from the Wizarding World. 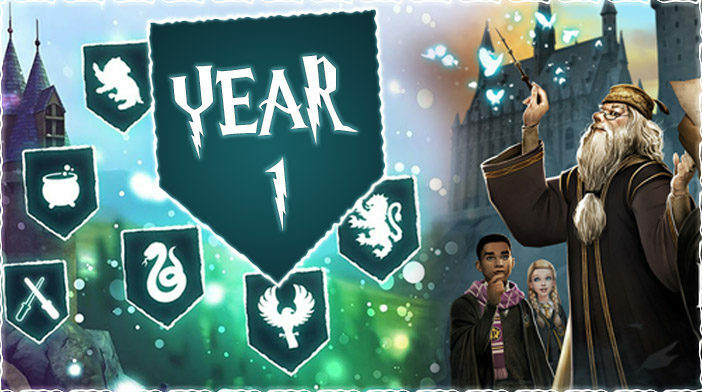 So, let’s get started and begin Chapter One of Year One of our Magical Journey through Harry Potter: Hogwarts Mystery!